Patients with breast or prostate cancer diagnosed during the summer season have been observed to have better survival. The extent to which this is due to biological and/or health care system related factors is unclear. Using the Swedish Cancer Register and clinical databases, we analyzed overall survival by month of diagnosis among the incident cases of breast (n = 89,630) cancer and prostate (n = 72,375) cancer diagnosed from 1960 to 2004. We retrieved data on tumor stage from 1976 for breast cancer and 1997 for prostate cancer. Cox proportional hazards models were used to calculate relative risk of survival by the season of diagnosis. There was a higher hazard ratio of death in men and women diagnosed with cancer in the summer with a relative hazard of 1.20 (95% confidence interval 1.15–1.25) for July for prostate cancer and 1.14 (95% confidence interval 1.09–1.19) for August for breast cancer when compared to being diagnosed in January. This difference coincided with a lower mean number of cases diagnosed per day, and a higher proportion of advanced cases diagnosed in the summer. This pattern of presentation was stronger in the later years. The difference in stage distribution explains the seasonal variation in prognosis seen in this study. The variation may be because of structure of the health care system and a strong tradition of vacationing from mid June to mid August. Thus, the health care infrastructure and the late presentation of symptomatic disease may influence cancer survival studied by season of diagnosis substantially. 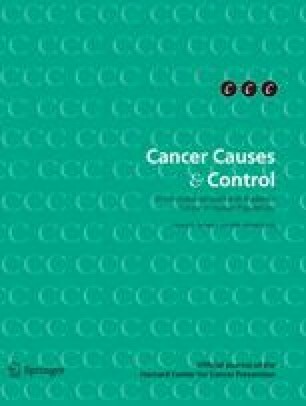 The study was supported by the Swedish Cancer Society. The clinical databases were collected and quality assured by the regional working collaborative groups for breast and prostate cancer in the Stockholm–Gotland and the Uppsala–Örebro health care regions.